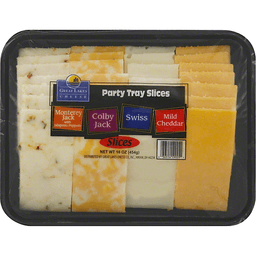 Great Lakes Cheese Company Cheese Party Tray. 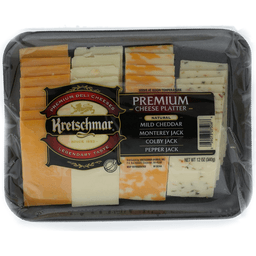 Monterey Jack with jalapeno peppers, cheese slices. Colby Jack, cheese slices. Swiss, cheese slices. Mild cheddar, cheese slices. Great for entertaining!